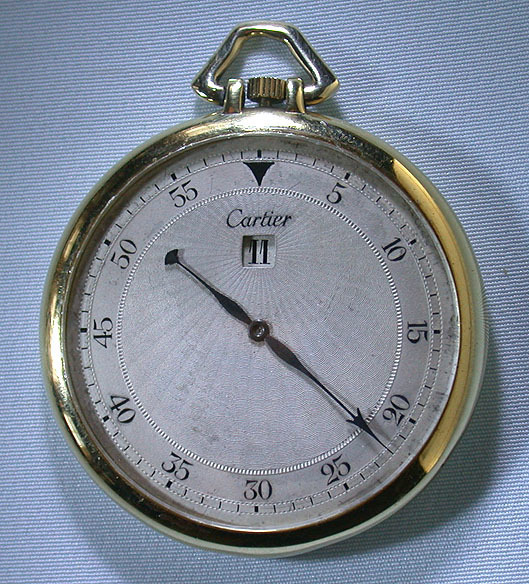 Fine and rare slim Cartier 18K gold Art Deco jump hour antique pocket watch circa 1925. 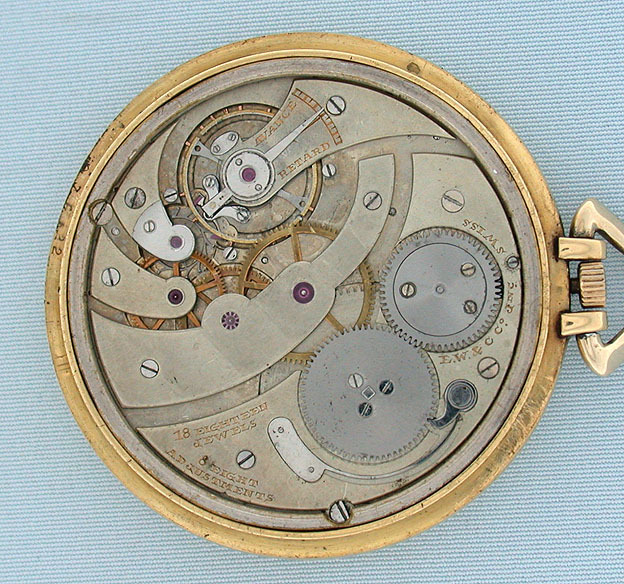 Original silver engine turned dial (light scuffing) with black markings, blued steel minute hand, and aperture for the jump hour. 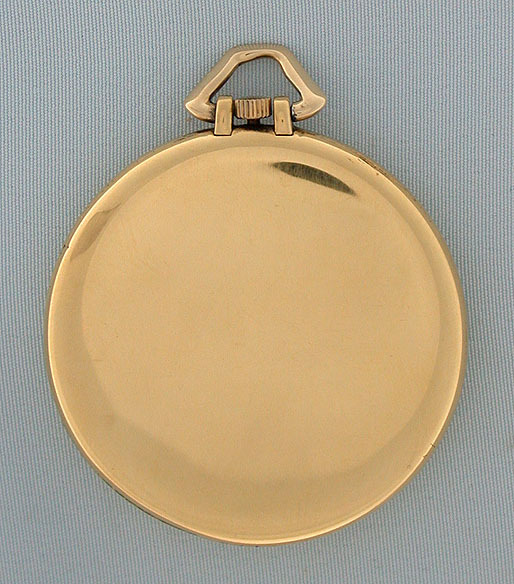 Plain polish 45 mm case signed European Watch & Clock Co. which was Cartier's factory. 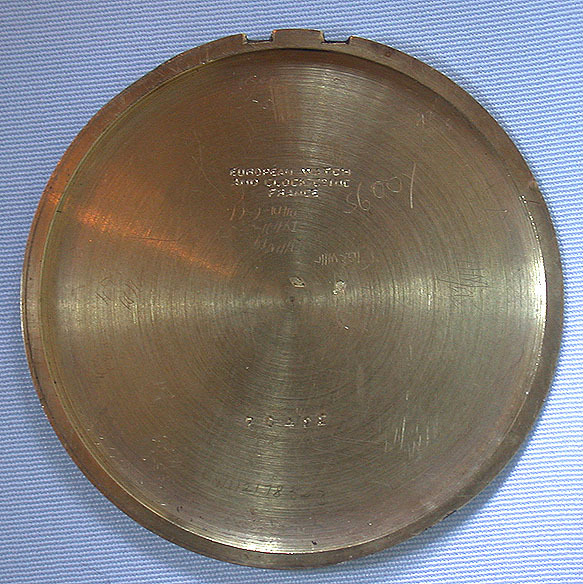 Flat high grade 18 jewel 8 adjustment movement signed E.W.&C.Co. Classic elegance.